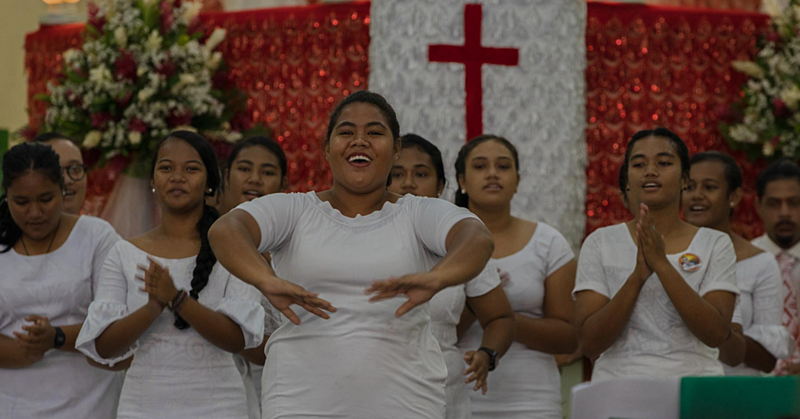 Hundreds of people crowded the Congregational Christian Church of Samoa of Vailoa-uta yesterday to farewell a woman they knew as a leader, planner and a visionary. The life of the Chief Executive Officer of the Ministry of Commerce, Industry and Labour, Peseta Bernadette Margaret Malua was celebrated yesterday during her final service. She lost her battle with cancer two weeks ago. She was 45. Described by her sister Filda Caroline Vitale as a priceless jewel, Peseta even planned her eulogy. “She was a planner and a leader,” she said. “She even planned her eulogy before she passed away. She understands me inside and out that I am not strong enough to stand in front of people to deliver a eulogy about her. The eulogy she prepared goes like this. The eldest child to the late Galumalemana Edward Peters and the late Meavali Maiava Peters, Peseta was known by many names. “I am called many names by my family; Berdie, Bernie, Peli and many other names,” Mrs. Vitale relayed. Mrs. Vitale recalled that Peseta attended Vailoa Primary but when her father returned from a trip in Fiji he shouted Peseta offering to pay for her education at Apia Primary. At primary school it was where Peseta met her best friends who are Dr. Malama Tafuna'i and Nina Netzler. Before Peseta passed away she also wanted to acknowledge her mother’s brother, whom she referred to him as an inspiration. “Sometimes I think I let him down,” Mrs. Vitale relayed. 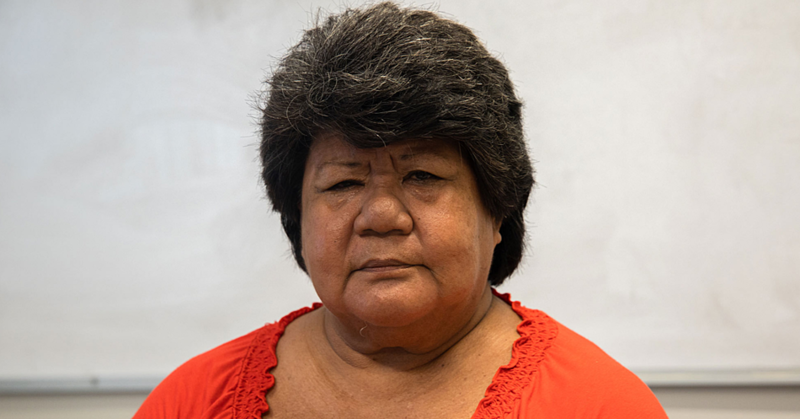 Peseta first met her late husband, Taulealeausumai Laavasa Malua in Samoa before she left for her scholarship at Victoria University in Wellington New Zealand. “We had a lot of spirits when we were in Wellington. “My husband had to take out $1000tala to keep me happy. About her career life, Peseta started work with KVA where she was paid $11,000 to $20,000 and then $27,000. “At KVA I made a lot of sacrifices. “I missed a lot of Mothers day and I was a workaholic, everything was about policy…whatever I was given I delivered. “It was depressing times for my dad. Peseta was a Senior Consultant – International Trade and Investment for KVA Consult Ltd from 2002 to 2005. She later moved to Small Business Enterprise Center (S.B.E.C) where she was the Chief Executive Officer from 2006 – 2015. “In case I missed out S.B.E.C it transformed my life and I transformed S.B.E.C. Peseta’s uncle, Lavea Maiava Iosefa also shared his memory of his niece. Making reference to 2 Peter chapter 3 and verse 8, Lavea said Peseta’s life is summarized in that verse. “One day is the same as a thousand years,” he said. “I’m not alone thinking what a great honour and what a great privilege she gave my family. Lavea remembered his niece as someone that does not like to brag about things but would always praise the Lord for it. He said it must have been the reason why they never knew about her many other achievements until she died. 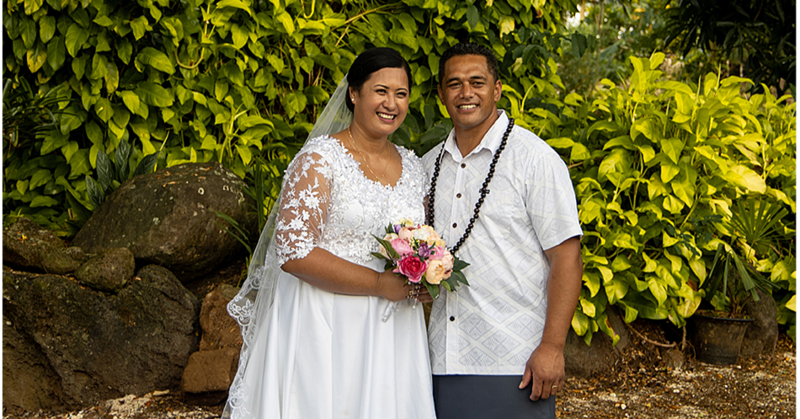 During her last moments on earth, Lavea said it was during the most challenging times that he had witness the full extent of the love and support from her friends and colleagues. “There is a Samoan saying that friends and colleagues are for everyday and family and brothers are for bad days,” he said. The Minister of the Public Enterprise, Lautafi Selafi Purcell also paid tribute to the C.E.O. He passed on a message of condolences from the government of New Zealand through the Minister of Foreign Affairs, Murray Mc Cully. Lautafi described her as a visionary, forward and strategic thinker. He said for nine years Peseta had worked with S.B.E.C. she had been the strong pillar of the Center’s development. Some of her work includes Samoa’s push in signing up with the World Trade Organisation. But most importantly, she was known for her drive to action plans. In the last bilateral meeting between American Samoa and Samoa, Lautafi recalled that he had sought Peseta’s assistance on what message she wanted to instill in the participants. “Action, action and action,” said Lautafi. Even at the time she was weak, Lautafi said she still wanted to do work from home. While he discouraged her to do this, she told him someone will be arriving soon with her work she can do from home. Prime Minister, Tuilaepa Sailele Malielegaoi echoed similar memory of Peseta. He said she was someone that walks the talk. “Her public relations was hundred percent,” said Tuilaepa. 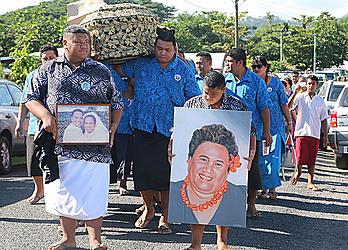 Peseta was dearly missed by hundreds of those that gathered to witness her final service at Vailoa. The staff of the Ministry of Commerce were the pallbearers of her casket from her home at Tulaele to C.C.C.S. at Vailoa. She has two children, Gafatiataulimaina Matthew Michael and Edward Taulauniu Malua. Her late husband was the former Chief Executive Officer of the Ministry of Natural Resources and Environment, Taulealeausumai La’avasa Malua.